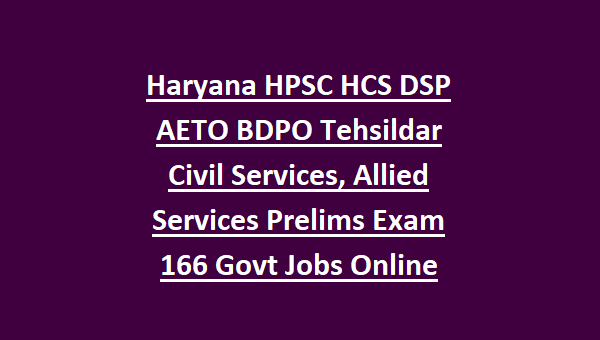 There are total 166 vacancies in this HPSC Civil Services Exam Notification. For the post of DSP age limits are 21-27 years as on 14-09-2018. For all other posts age limits are 21-42 years. Age relaxations are applicable as per the norms. Candidates selection is based on Preliminary Exam, Mains Exam and Personality Tests. 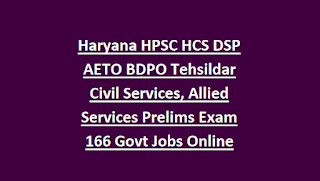 Candidates who are looking for these Civil Services exam of Haryana HPSC they can apply online on or before the closing date of 15-02-2019 through official website of www.hpsconline.in.